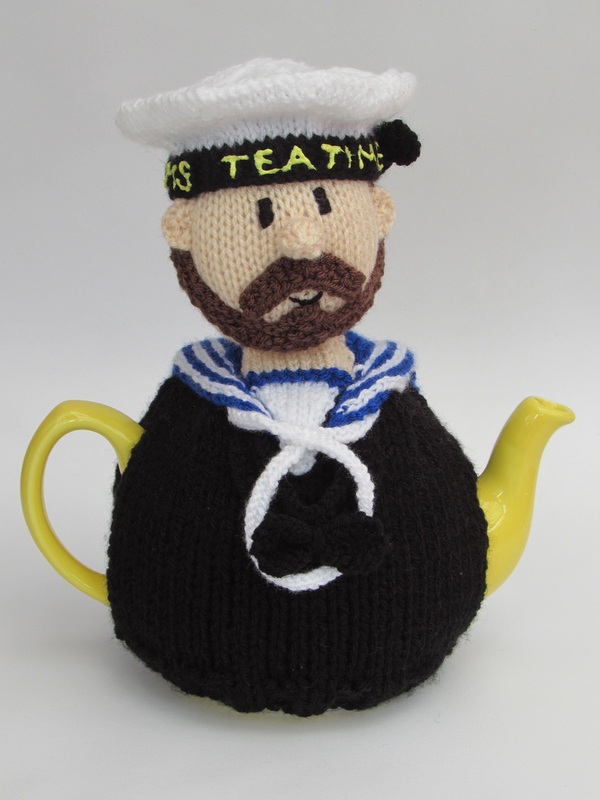 The shark tea cosy is the perfect tea cosy for sea lovers, fishermen, beach huts, marine wildlife lovers and Jaws fans. 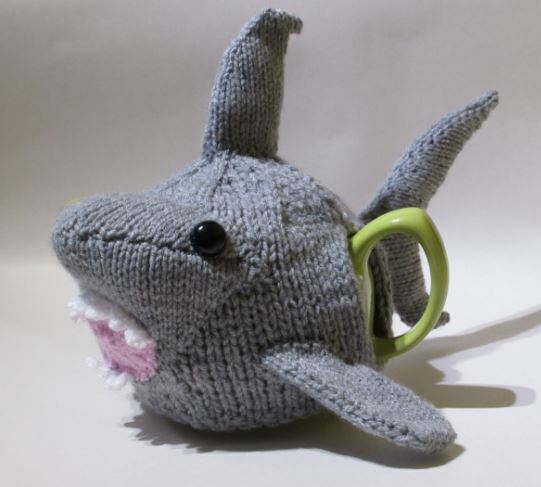 The shark tea cosy has his jaws open ready to attach anyone trying to pour the tea before it is properly brewed. 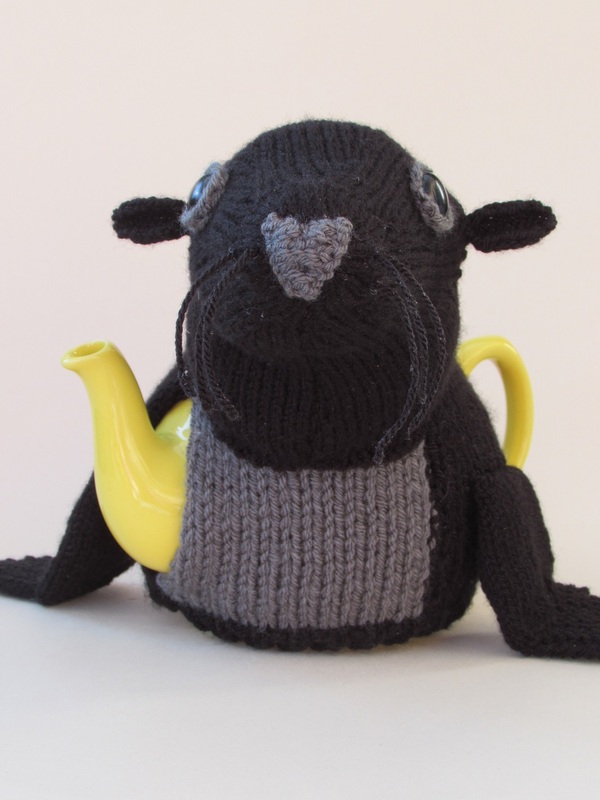 The shark tea cosy also has a dorsal and pectoral fin and a big tail. The black eyes are safety eyes. 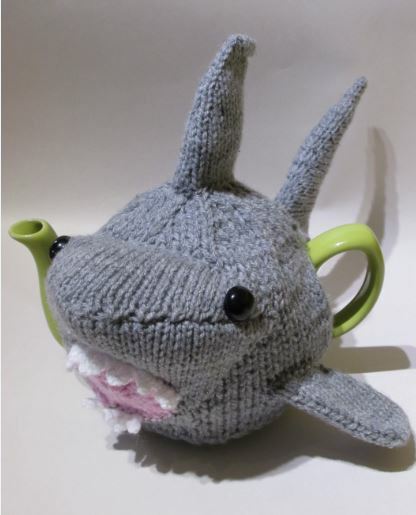 Turn your teapot into a great white with a unique shark tea cosy. Have you heard that sharks will eat anything? 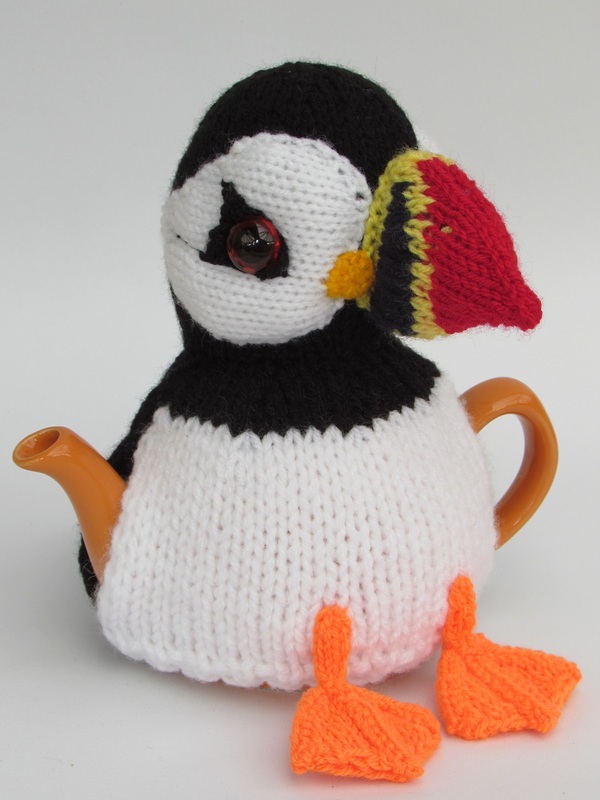 Well this one has eaten a teapot and now he's a Shark Tea Cosy. 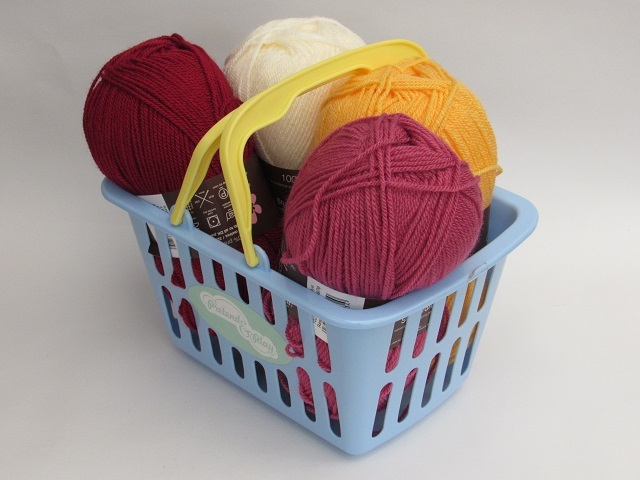 4mm, UK size 8, US size 6 circular needles. 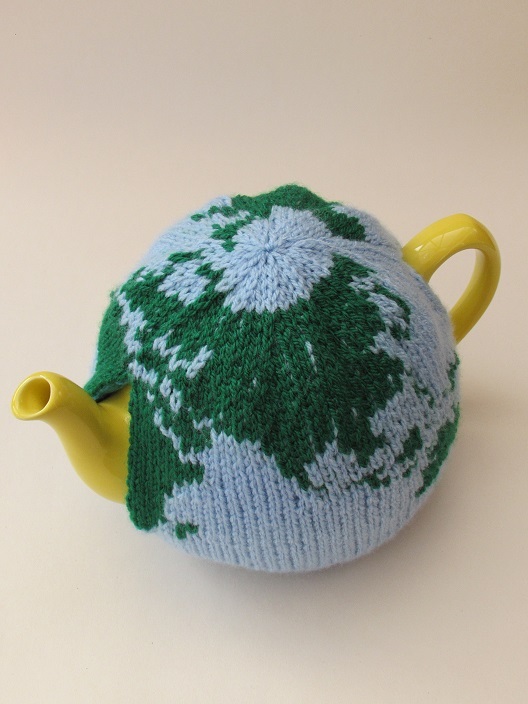 Small amounts of white and pink double knitting wool. Stuffing and two 18mm black safety eyes.